The product decoration business is an exciting one. In fact, many product decorators start out as hobbyists who fall in love with the colors, images and all the amazing things you can make with sublimation. There is so much creativity at the heart of what you do and so many opportunities to make money, it can be easy to lose focus on the bigger business picture. 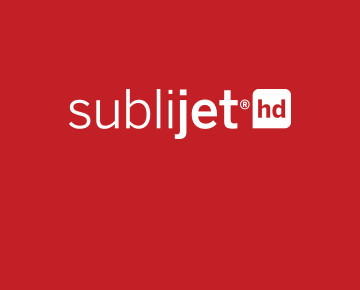 Check out our library of sublimation business webcasts! When does a hobby become a viable business that can provide financial support, as well as growth and personal satisfaction? Making the transition from hobbyist to entrepreneur can be difficult if you don’t keep the business aspect of your enterprise in focus. What about adding sublimation to an existing business? Or are simply wanting to make more money with a sublimation business you’ve already established? How can you ensure that you are making the right moves to make the most of your investments and keep your business growing? Careful planning, strategy and adherence to plans can make all the difference when it comes to building a successful sublimation business. Here are a few tips for getting started on the right foot or ensuring the work you’ve already done pays off. Adding a new way to decorate products or putting more of a business focus on a hobby might seem like an exciting step to take. Often, though, people spend time and invest money in establishing a sublimation business without building an actual business plan. Skipping over the business plan step is one of the cardinal missteps for any business owner. A business plan is a document that you create, which includes market research, financial planning, specific goals and milestones, plans for managing changes and setting expectations. In short, a business plan is a blueprint for going from startup to sustained income and growth. Skipping over the business plan step is one of the cardinal missteps for any business owner. Business plans are crucial to finding long-term, sustained success. Take the time to research target markets, successful business models, prices and costs of operation and how other businesses have succeeded. Then build out a plan with specific goals, benchmarks, metrics and timelines. This will give you focus throughout your first few years and a way to keep your business on track. Within your business plan, you will have a section that focuses on marketing. In this section, you can build out some broad strategies of how to approach your markets. However, every year you should create a separate and detailed marketing plan outlining how you will achieve the goals in your business plan for that timeframe. Marketing plans will change from year to year, as will your goals and your market landscapes, which is why it’s important to develop strategies for each year. Explore potential markets in our webcast library. Choose specific markets to target and specific products to sell in those markets. Learn how customers in those markets want to be communicated with, what they respond to, and use that information to build plans that provide value. These may focus on events, holidays, age-ranges, product use, etc. Be open minded as you analyze market needs and wants, and make your decisions based on what has worked in the past, new information you cultivate and your own experience. Watch our popular webcast about the true cost of sublimation. Whether you have a home-based business or your own shop in town, your cost formula is the same: divide all the operational costs for a given period by the number of units produced during the same period. Operational costs include ALL anticipated costs: rent, power, insurance, phone, website, e-mail, advertising, marketing collateral, chamber and professional association fees, depreciation on fixed assets (printer, heat press, computer), accounting fees, etc. They should also include your ink, substrates, paper, software and artwork expenses. Then there are labor expenses. Even if you are a sole proprietor, you need to pay yourself. Your time and expertise are valuable, which is why it is important to establish an efficient system of sublimation production. The time spent on doing anything other than making sublimated products for sale is a missed opportunity for more revenue. Remember, your products are what people are paying you for – and you need to set your prices so that ALL of your expenses are paid for and a healthy profit is ensured. Look at what others are charging for similar products and talk to your customers. You may find that the best price point is well above what you thought it would be. The rule of thumb for most retailers is to multiply cost times two or three. This can leave a lot of money on the table because the cost of sublimation production in this formula produces a price that is much lower than people are willing to pay. Look at what others are charging for similar products and talk to your customers. You may find that the best price point is well above what you thought it would be. Regardless of what your niche is, one huge key to making sales is having a high-quality set of samples to show what you offer. In addition, your samples should encourage larger orders by having multiple unique pieces that are interrelated. Remember, your clients don’t know what you can do until you show them. Even if they only ask to see a single piece, make sure you show several other products to open their eyes and expand your sales potential. In addition to real samples, it’s useful to create a portfolio with pictures of orders you have completed. Group the items and take pictures, then put this into a slide show on a tablet or laptop for easy reference. Substrate catalogs are useful as well. A business website and social media accounts are no longer just nice to have. They have become essential business tools and a must-learn for any business owner. Content marketing, digital marketing and social media marketing have become so important to building perceptions and relationships, especially for small businesses who must reach a variety of markets to stay competitive. Content marketing is as easy as generating content that can be tweaked to fit the needs of many types of customers, and then providing customers that content through the media channels they use on a regular basis, while making sure what you provide is mobile-friendly. This means having a Facebook page, Twitter account, Instagram feed, Pinterest boards, etc., building a following, providing quality content and creating fans. To develop an effective digital marketing strategy, consider first who you are trying to reach, and then, which mobile channels are most important in reaching them. For customers who are not very tech savvy, this may mean just having a simple e-mail marketing strategy; even if a customer doesn’t use a smartphone or a social media account, they most likely have an e-mail address. Collect email addresses of people who opt-in to learn more about specials and deals, and build a distribution list through a free service, like MailChimp, or a pay service, like Pardot or Constant Contact. Both give you options to build visual e-mails and newsletters with little effort, which helps deliver messages more effectively. Social media marketing is a long-term, mobile marketing strategy that every retailer should become familiar with. Using social media in the name of your business is free and effective, if you follow the proper rules of engagement. Develop a communication strategy that speaks to the wants and needs of your followers (or the followers you want) and deliver messages that provide value. To learn more about business strategies that can help you launch or grow your sublimation business, check out Sawgrass’ Complete Guide to Sublimation Success.